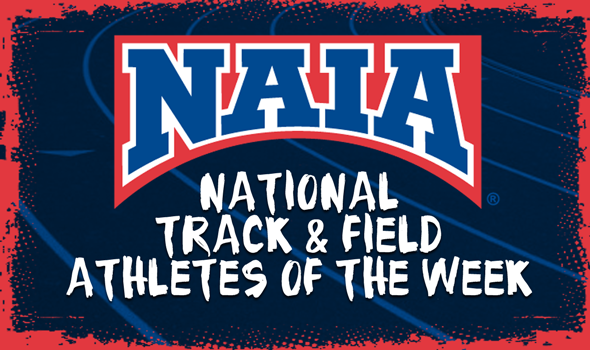 NEW ORLEANS – The NAIA Indoor Track & Field National Athletes of the Week were announced Wednesday by the Association. Recipients were Erik Escobedo of Bethel (Ind.) and Brent Rodden of Siena Heights (Mich.) for the men and Anna Shields of Point Park (Pa.) and Chantel Kyler of Clarke (Iowa) for the women. CLICK HERE for the full NAIA National Athlete of the Week calendar. Placed 1st in the 800m with a time of 1:53.77. This time is the top time in all of the NAIA this season. Placed 1st in the weight throw with a mark of 21.5. This is a Bethel record and the top mark in all of NAIA this season. Placed 1st in the 600m with a time of 1:33.49. Placed 3rd in the mile with a time of 4:43.63. Shields broke her own NAIA record for the season in the mile. Placed 1st in High Jump with a mark of 1.71m. Kyler broke the Clarke record and set the second-best mark in the NAIA this season.